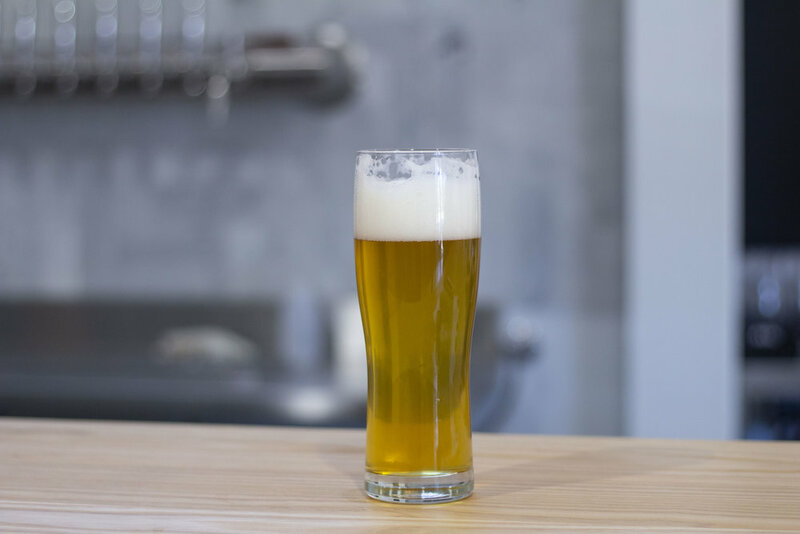 Thank you for joining us for the fourth installment of Beer Tuesday, where I take some time to champion a brewery in Kansas City who brings a little something to the area. This week, we raise a beer to Nick and Tania Mader at Alma Mader on Southwest Boulevard. The Kansas City craft beer community has always been one of the best parts of Kansas City, and with every new brewery opening, it only gets better. 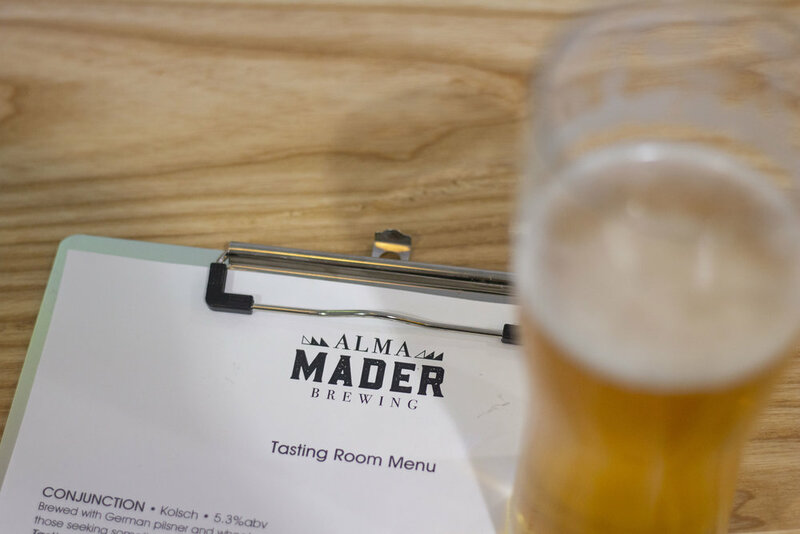 Alma Mader, whose doors officially opened on April 11th, is the newest brewery in town. Alma Mader’s location by The Roasterie and Boulevard Brewing puts them perfectly in place to balance Kansas City classics with Kansas City’s future. Much like other seasoned brewers we’ve heard from, the idea for a brewery has been the Maders’ original goal for years. Nick Mader, owner and head brewer, can thank his experience at Boulevard Brewing in Kansas City, Crooked Stave Artisan Beer Project in Denver and Fremont Brewing in Seattle for Alma Mader’s success. It also doesn’t hurt that he has a Masters in Brewing and Distilling and a hugely supportive team. The Maders have been looking forward to their opening because they finally get to bring together everyone who played a part in their success. As Tania joked to me, in the weeks leading up to their opening they started to realize they soon wouldn’t be the only ones drinking and hanging out in the space. With a handful of beers on tap to start, the Maders are most excited to educate the public on their brewing process. 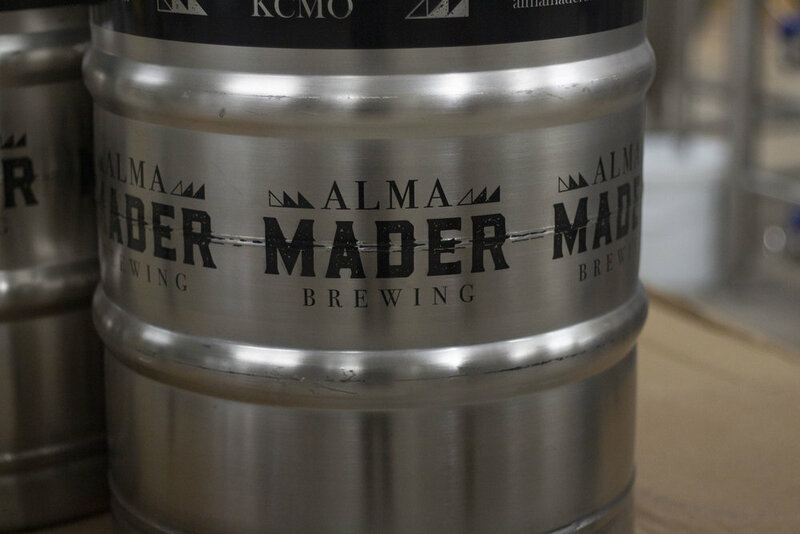 Alma Mader is currently serving up five beers in their taproom, ranging from Kolsch to a Messenger Coffee Porter, with intentions to keep their production at a manageable size. You won’t see every style under the sun here, but you will find beers crafted with high-quality ingredients and high-quality flavor. While I was posted up at the bar, there were people trickling in surprised to find that the brewery had opened so recently because what they were drinking tasted so damn good. Speaking of damn good, the Maders have a long list of their favorite people and places in Kansas City, with shout outs to the Eans at Happy Gillis, the Rooneys at BKS Artisan Ales (Hi, guys! ), Neil Witte, the folks at Boulevard Brewing, Torn Label, Stockyards, and Messenger Coffe. While they’re not brewing up the next best thing, you can find the Maders enjoying food and drink at Poi-O, Slap’s and Ca Va.
All images by Grace Pritchett except black & white image courtesy of Alma Mader Brewing.